In 1969 Saints owner John Mecom Jr. Wanted a new look for his team's third NFL season. Since their inception, the Saints had worn beautiful gold numerals on white or black jerseys, gold pants and gold helmets with a black fleur de lis symbol on each side. But they were about to make the most controversial and short-lived uniform change in their history. 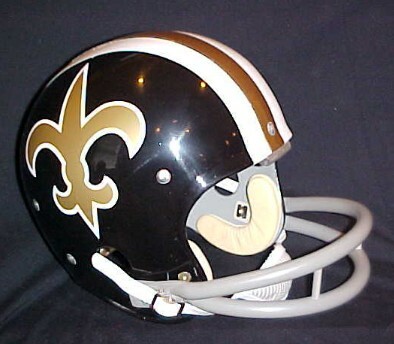 For the 1969 pre-season, Mecom sent his troops out wearing black helmets with a gold fleur de lis on each side. It was a mistake. To begin with, Mecom had failed to register the black helmets with NFL office. 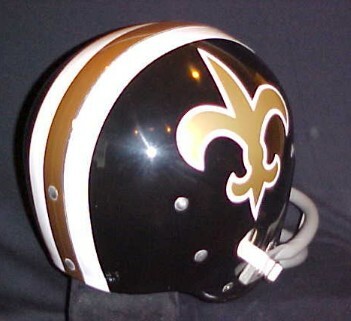 The league's entire line of merchandise represented the Saints with gold helmets, so the league wouldn't license the black helmets. Faced with pressure from the league office, and poor fan response, Mecom quickly decided to scrub the idea. He found himself with a locker room full of black Saints helmets. At the time, the NFL was still operating a type of farm system as feeders for NFL clubs. The Saints' farm team was the Richmond Roadrunners, coached by J.D. Roberts, who in 1970's would replace Tom Fears, becoming the Saints' second head coach. 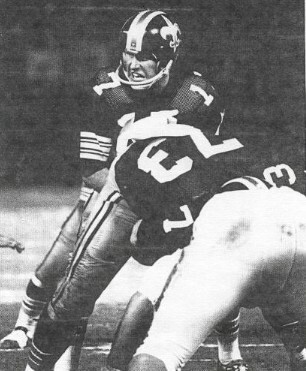 Mecom shipped the entire batch of black helmets to Richmond, and the Saints were back in their familiar gold helmets for the 1969 opener against Washington.